According to Conde Nast, the Bahamas was one of 2018's must-visit destinations. 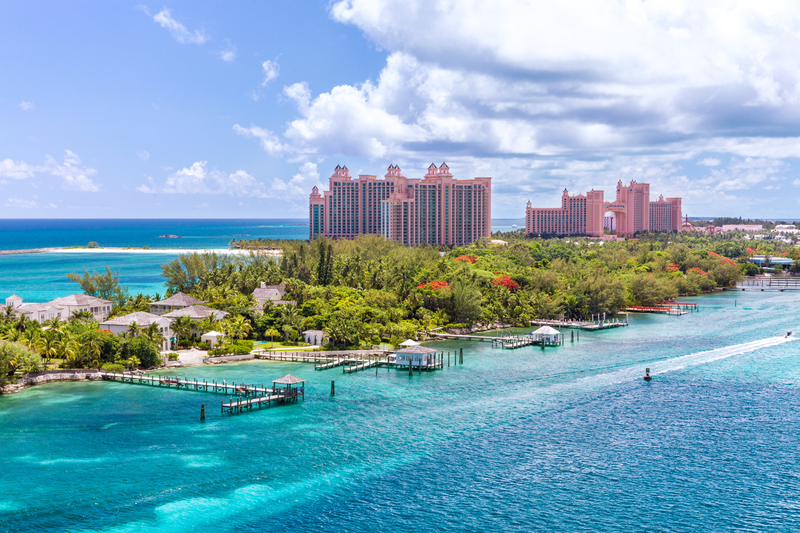 If you're considering a tropical vacation, why not Nassau, the Bahamian capital? It lies on the island of New Providence, with neighboring Paradise Island, which is accessible via Nassau Harbor bridges. A popular cruise ship stop, the city has a hilly landscape and is known for beaches as well as its offshore coral reefs, popular for diving and snorkeling. It retains many of its typical pastel-colored British colonial buildings, like the pink-hued Government House. Using travel site Skyscanner, we've sifted through the cheapest flights between Raleigh and Nassau in the next few months, including some popular hotel options and highly reviewed local attractions. Currently, the cheapest flights between Raleigh and Nassau are if you leave on May 7 and return from the Bahamas on May 14. American Airlines currently has tickets for $353, roundtrip. There are also deals to be had in January. If you fly out of Raleigh on Jan. 31 and return from Nassau on Feb. 7, Delta can get you there and back for $356 roundtrip. To plan your stay, here are a couple of Nassau's top-rated hotels, that we selected from Skyscanner's listings based on price and customer satisfaction. If you're looking to splurge on top quality, consider The Melia Nassau Beach Resort. The hotel has a four-star rating on Skyscanner, and rooms are currently available for $189. This beachfront resort is near Cable Beach and the attached Cable Beach Golf Club. There's also the 4.4-star rated The Reef Atlantis, which has rooms for $179/night. Nassau has plenty of top-notch dining options. Here are a few of the most popular, according to Skyscanner. If you're looking for a local favorite, head to The Mesa Grill, which has an average of five stars out of five reviews on Skyscanner. Bobby Flay's Bahamas outpost of the Mesa Grill chain, also present in Las Vegas, is situated in the Atlantis Resort. It features a blend of Southwestern and Caribbean cuisines and desserts like cinnamon-dusted churros. Another popular dining destination is Twin Brothers, with 4.7 stars from 34 reviews. "Great place to go eat real Bahamian food," wrote reviewer Daniel. "Don't settle for a burger. Definitely try the conch fish. It's a Bahamian favorite." Also worth considering is Cafe Matisse. Filet mignon, unique seafood dishes and homemade pastas are served in an old colonial home lined with Matisse prints. An informed staff with exceptional attention to detail tends to guests during their meals. Not sure what to do in Nassau, besides eat and drink? Here are a couple of recommendations, provided by Skyscanner. The top-rated visitor attraction in Nassau, according to Skyscanner, is National Art Museum. "This is my go-to place every time I visit Nassau," wrote visitor Donna. "The building is beautiful and exhibits are true Bahamian art." Love Beach is another popular destination set on 40 protected acres of coral. "The name says it all," wrote visitor John. "This beach is romantic and evocative."